UMA NOVIDADE!!! MATRICULE-SE JÁ E ADQUIRA DOIS CURSOS EM UM SÓ PACOTE. 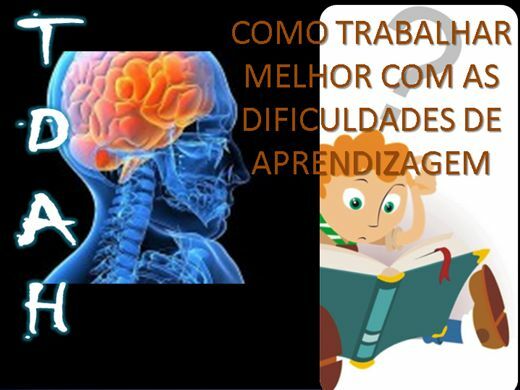 CONHEÇA UM POUCO MAIS SOBRE O TDAH, TRANSTORNO QUE ACOMETE MUITAS CRIANÇAS E CONHEÇA TAMBÉM ALGUMAS ORIENTAÇÕES E SUGESTÕES DE COMO TRABALHAR MELHOR COM AS DIFICULDADES DE APRENDIZAGEM DE NOSSOS ALUNOS.